India, officially the Republic of India is a country in South Asia. It is the seventh-largest country by geographical area, the second-most populous country with over 1.2 billion people, and the most populous democracy in the world. Mainland India is bounded by the Indian Ocean on the south, the Arabian Sea on the west, and the Bay of Bengal on the east; and it is bordered by Pakistan to the west;[note] Bhutan, the People's Republic of China and Nepal to the north; and Bangladesh and Burma to the east. In the Indian Ocean, mainland India and the Lakshadweep Islands are in the vicinity of Sri Lanka and the Maldives, while India's Andaman and Nicobar Islands share maritime border with Thailand and the Indonesian island of Sumatra in the Andaman Sea. 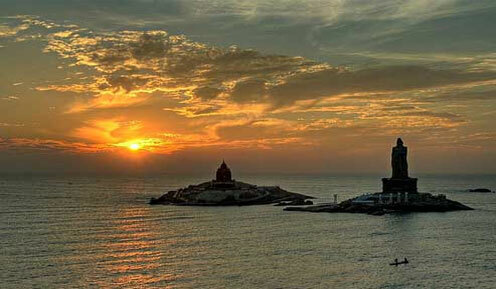 India has a coastline of 7,517 kilometres (4,700 mi).